Objective: To discuss the management of acute unilateral peroneal neuralgia using integrated chiropractic and physical therapy interventions. Clinical Features: A 61-year-old male sought care at a hospital-based chiropractic clinic for acute unilateral foot drop and paresthesia over the dorsum of his right foot, following sitting with the lateral lower right leg resting along the gunnel of a canoe for extended periods of time. Intervention and Outcome: Multimodal chiropractic care and physical therapy intervention, including extremity manipulative therapy, instrument-assisted soft-tissue mobilization (IASTM), manual myofascial release, compression flossing, therapeutic exercises and a home exercise program. Treatment lasted for 8 weeks and consisted of 11 chiropractic treatments and 5 physical therapy sessions. At time of discharge, patient reported compete resolution of ankle dorsiflexion and near-maximal improvement in sensation over the dorsum of his right foot. His Lower Extremity Functional Scale (LEFS) score improved from 62/80 to 77/80. At a follow-up 2 months post-discharge, he reported complete resolution of symptoms. Conclusion: Conservative management for peroneal neuralgia causing foot drop is not well documented within the current literature. 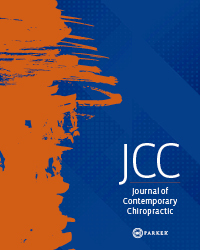 This case provides a case for the combined use of chiropractic care and physical therapy for peroneal neuralgia treatment and suggests the need for further research in this area. 5. Liveson JA. Peripheral neurology: case studies in electrodiagnoses (2nd ed). Philadelphia: FA Davis Company 1991.